Stourhead Gardens Bed & Breakfast was once a pair of cottages, built in the 1700s, now adapted to provide tasteful and spacious accommodation. 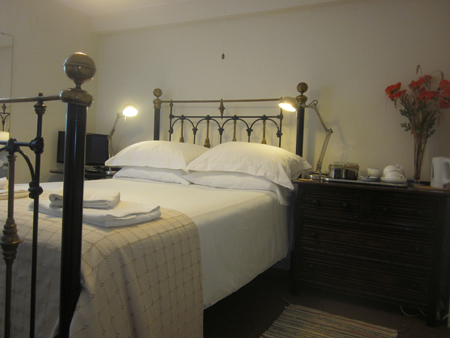 The bedrooms are elegantly furnished with antique pieces, interesting artwork and king or queen sized beds with white linen. Each room has a television and wifi. The Howard Room (top) has an en suite bathroom and offers views from the front of the house to the fine medieval church of St Peter. The Church Room (centre) is also at the front of the house with a similar view. It has a dedicated bathroom. 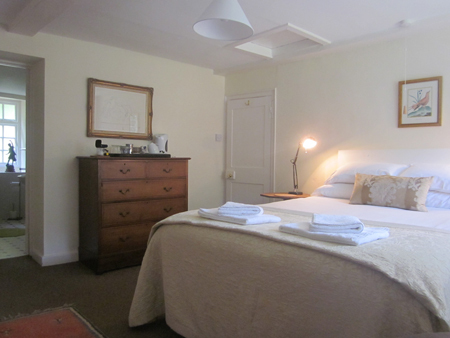 We also have a small double room at the front of the house, available in conjunction with the Church Room only. The Garden Room (bottom), which overlooks our cottage garden, has an ensuite shower room. There are tea and coffee making facilities in all the rooms and complimentary water and soft drinks in the refrigerator in the kitchen. 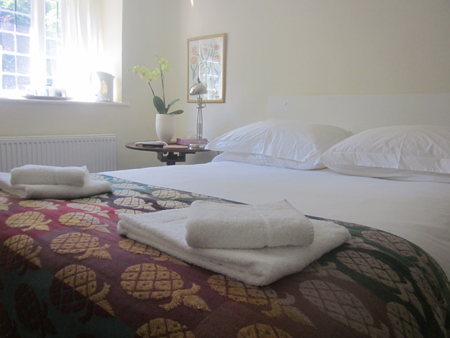 Guests are also welcome to use the downstairs sitting rooms and the garden.